Welcome to my website! Hopefully, it will provide you with some useful information. In terms of a brief bio, I am an international economist, born and raised in Germany, but currently based in Paris. Most recently I have been working as an Economics Consultant for international organizations and as an Associate Professor at the American University of Paris. 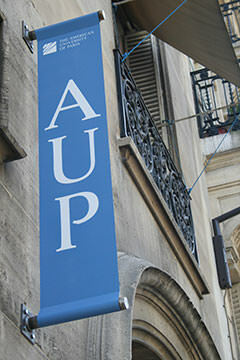 Prior to joining AUP, I was a Research Fellow at the CEPII think-tank, and worked as Division Manager in the Research Department of the African Development Bank, as Senior Economist in the World Bank’s Economic Policy Department, and as Economist in the OECD’s Departments for Economics, Trade, and Agriculture. I have written several dozen research and policy papers, mostly in the areas of macroeconomics, trade, and development. I received a Ph.D. in applied economics from Stanford University, an MBA from Imperial College London, and degrees in agricultural sciences and economics from University of Bonn. This website brings together several of my profile and resource pages from diverse corners of the internet. It is, thus, broader in scope than any individual profile that you might come across, such as those on Facebook, Google Plus, LinkedIn or Twitter. In case you would like to get in touch directly, just send me an email. While over time I have undertaken economic analysis on a variety of countries, sectors, and issues, my recent work has focused on three areas, namely regional integration, services trade, and inclusive growth. Monitoring regional integration. Regional integration agreements continue to profligate, while progress on multilateral trade policy reform at the WTO seems to have stalled. Yet, how well are the regional initiatives working and do they really reduce the trade transaction costs for small-scale traders and business people? Some of my recent work has tried to address these questions, for example in the World Bank's report on Indicators to Monitor Deeper Integration in Africa, UEMOA's Rapport 2014 de la Surveillance Commerciale, the Diagnostic Trade Integration Study for Sierra Leone (2013), and the ASEAN Integration Monitoring Report 2013. Advancing services sector reform. Technical progress and the digitization of contents have made many services tradeable. Given the large importance of services sectors in most economies, enhanced services trade has the potential to contribute substantially to the growth of developed and developing economies alike. Some of my recent work has contributed to assessments of policy reforms to foster services trade, including the chapters in the World Bank's report on Fostering Productivity Growth in Bulgaria (2015) and the ASEAN Services Integration Report (2015). Fostering inclusive growth. Providing equitable opportunities for different groups within society is a critical element for sustainable growth and development. Inclusiveness can thereby concern several different dimensions and go beyond the primary focus on income or wealth disparities between the rich and the poor. For example, some of my recent policy work has addressed generational inclusiveness and the economic consequences of ageing (OECD Economic Survey of Slovenia 2015). Moreover, I contributed to analysis on spatial development and the regional distribution of opportunities within countries in Africa, as reported in the African Economic Outlook 2015. Economics for Policymaking provides a broad, non-technical treatment of public policy issues that affect contemporary society from an economic perspective. The course represents an introduction to the principles of economics through case studies, issue discussions, and concept reviews. 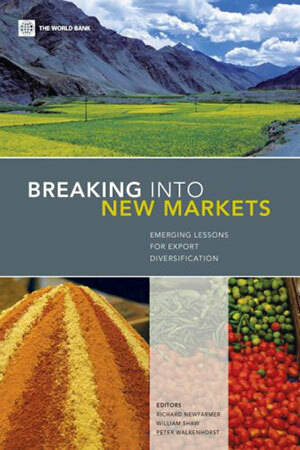 It helps students develop a general understanding of the market system's functioning and failures, and offers a critical and empirical overview of the effectiveness of microeconomic and macroeconomic policies. Advanced Quantitative Methods for Policy Makers offers an overview of quantitative techniques and tools frequently used in applied public policy research, with emphasis on econometric analysis. The course prepares students to evaluate public policy studies that utilize regression analysis, to interpret econometric results, and to perform independent research using real-world data. In particular, the course reviews the fundamental concepts of probability and statistics, describes the linear and non-linear regression models, and introduces more advanced econometric topics, including panel data analysis, limited dependent variable models, and instrumental variable regressions. Economics of Globalization is an introduction to global economic integration and the institutions that regulate it. Students are introduced to the tools of international economic analysis and their application to the study of globalization experiences. The course analyses the causes, nature, and effects of the growing internationalization with particular attention to trade, finance, and economic development linkages. It evaluates the arguments of both the advocates and critics of globalization and assesses public policy options for improving international cooperation and global governance. Economics of Sustainable Development familiarises students with concepts and methods that are used by economists for understanding and analysing the sources of market failures that lead to unsustainable resource use, the policy means of correcting these challenges, and the role of market mechanisms to contribute to sustainable outcomes. The course exposes students to some of the existing controversies over diagnostic measures, goals and choices of policy instruments, and the role of markets and governments in relation to sustainable development. Students apply some of the fundamental concepts and theories of economics – private versus public goods, externalities, property rights – to explain why environmental problems arise and how policy can be used to address them. Political Analysis introduces students to research methods and design used in the social sciences. It teaches students how to gather evidence through the use of established research techniques and how to analyze qualitative and quantitative data. Students will learn how to gather qualitative data, for example through existing documentation or field research techniques. The class also discusses quantitative data-gathering techniques, including how to conduct a survey or public opinion poll. Moreover, the course introduces students to some fundamental tools of quantitative data analysis, in particular methods to evaluate relationships descriptively and test hypotheses statistically. Below is a list of some of my recent publications. A number of earlier papers can also be downloaded from the IDEAS or ResearchGate repositories. Moreover, some of my monographs are available as ebooks (or hardcopies) on amazon. A complete listing of my research papers, including policy notes and conference papers, can be found here. Peter Walkenhorst & Urban Silla, 2015. 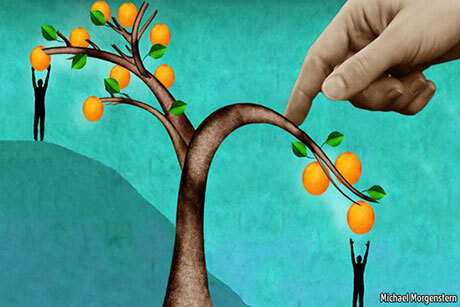 "The Economic Consequences of an Ageing Population in Slovenia,". Economics Department Working Paper, No. 1242; OECD, Paris, 31 pages. Peter Walkenhorst & Jean-Christophe Maur, 2014. "The Mano River Union at 40: From Customs Liberalisation to Confidence Building," African Journal of Economic and Sustainable Development, vol. 3(2), pages 89-102. 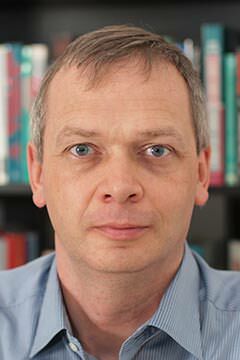 Peter Walkenhorst, 2013. "Indicators to Monitor Regional Trade Integration in Africa," Africa Trade Practice Working Paper, World Bank, 30 pages. Iza Lejárraga & Peter Walkenhorst, 2013. "Economic Policy, Tourism Trade and Productive Diversification," Economie Internationale, issue 135-136, pages 1-12. Richard Schiere, Léonce Ndikumana & Peter Walkenhorst (editors), 2011. "China and Africa: An Emerging Partnership for Development?," African Development Bank, 137 pages. Paul Brenton & Peter Walkenhorst, 2010. "Impacts of the Rise of China on Developing Country Trade: Evidence from North Africa," African Development Review, vol. 22(S1), pages 577-586. Iza Lejárraga & Peter Walkenhorst, 2010. "On Linkages and Leakages: Measuring the Secondary Effects of Tourism," Applied Economics Letters, vol. 17(5), pages 417-421. José R. López-Cálix, Peter Walkenhorst & Ndiamé Diop (editors), 2010. 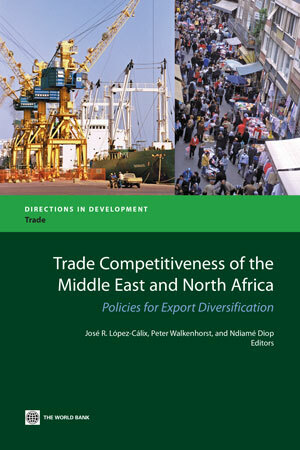 "Trade Competitiveness of the Middle East and North Africa: Policies for Export Diversification," The World Bank, Washington DC, 337 pages. Besides my academic publishing, I have also started an economics blog — interdiagnostix.com — where am assembling a set of resources that will hopefully prove useful for economic analysts and public policy observers alike. The initial focus has been on regional integration — one of the areas that I have been working on professionally also. The site reflects that traditional tariff analysis has lost in importance, as border taxes have over time been brought down through trade policy reform efforts at the multilateral, regional, and unilateral level. Instead, non-tariff barriers, including services trade regulations and logistics deficiencies, have increasingly moved to the center of policy discussions and trade negotiations. Moreover, one of my longer term interests has been photography, and I maintain a website — apotelyt.com — that is devoted to the technical side of imaging. There I publish short articles on cameras, lenses and accessories, and pass along tips and tricks that I have discovered over time. Every once in a while, the site goes viral and attracts several thousand extra visitors within a few hours. This usually happens when somebody discovers and relays my article on the custom-made Leica APO-Telyt-R 5.6/1600mm, which sold for no less than $2 million in 2006, making it the most expensive camera lens ever produced for civilian purposes. Copyright © 2011-19 Peter Walkenhorst. All Rights Reserved.